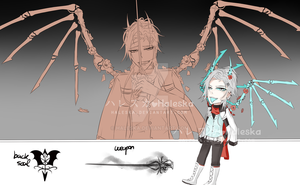 My MYO for their Closed species, Nefasalis/Sin Reapers. If accepted, I will likely line this and actually make it neater. I just had something come up so I wanted to make sure I could upload this in time. 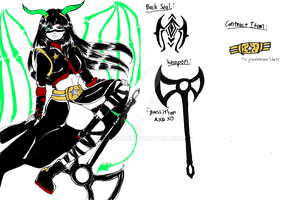 I may play around with the clothes some more but they'll generally stay the same likely. His shadow weapon are brass knuckles that he can summon, which go hand in hand with his strength. Weapon should be completely black!